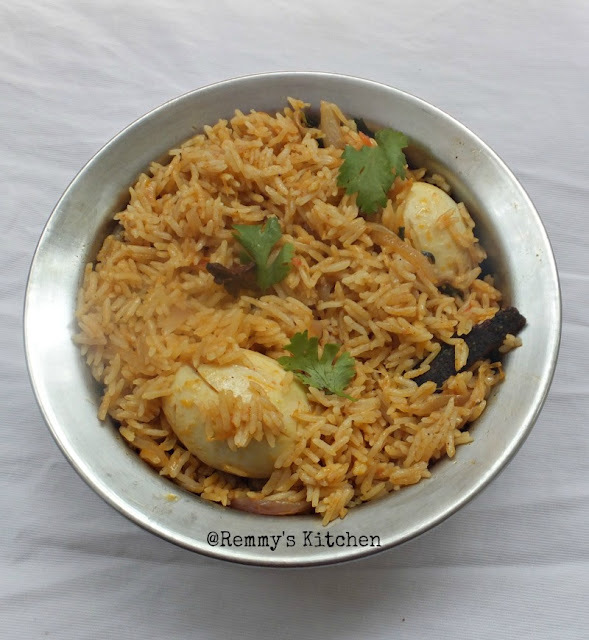 Again with a biriyani recipe!I can't say no to any rice dishes especially biriyani and fried rice..It is an easy peasy biriyani recipe.For Kerala egg biriyani we have to cook both masala and rice seperately.And finally we will mix it while doing dum.Here both rice and egg masala are cooking together and it will give a special flavour and tastes to the biriyani. Heat a pressure cooker with oil / ghee. (I used both).Add all the ingredients listed under "to temper "
Now add sliced onion and saute it well.Then add chopped tomato and green chilly(I didnt use it was not in my hand). Saute it again. Add ginger garlic paste and saute it till it leaves the raw smell.Add the ingredients listed under "spice powders ".Mix it well. 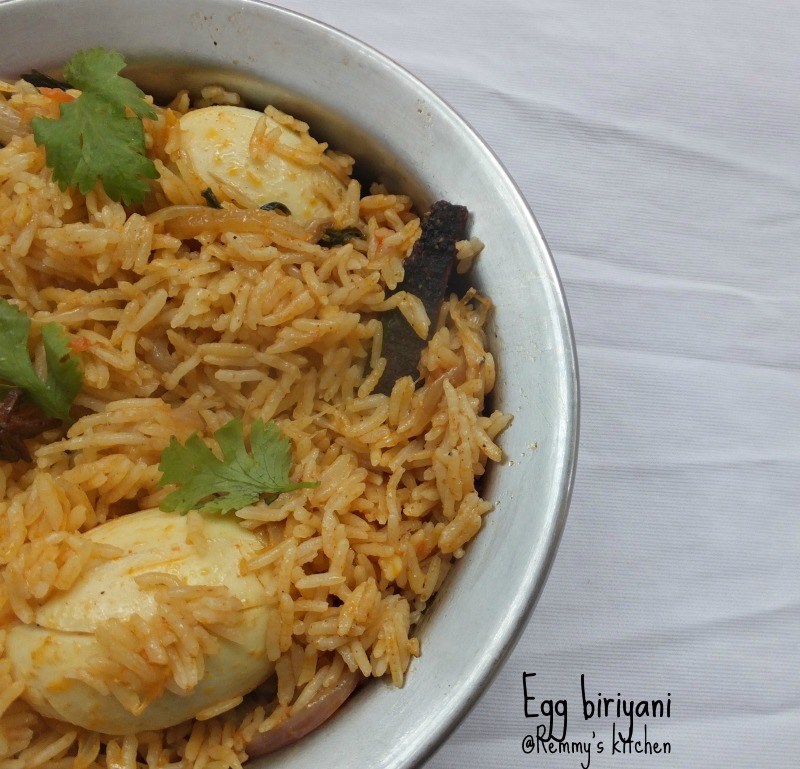 Add coriander and mint leaves and mix it well.Now add eggs and fry it well till it coated with the masala. I studied in Tamil Nadu. I'm familiar with the dish. 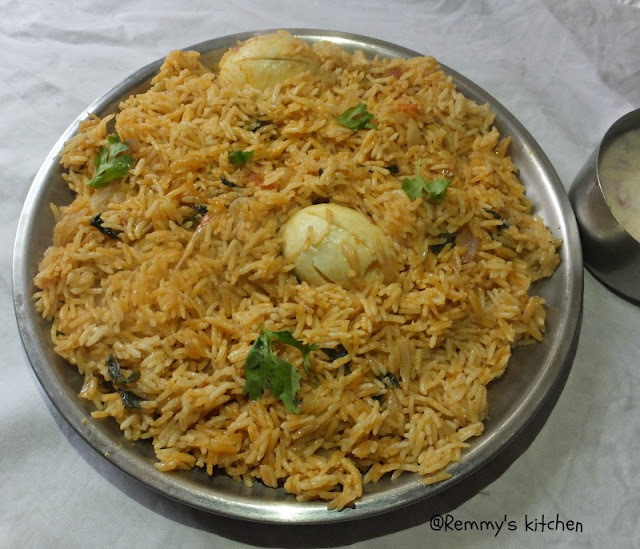 Could you please explain the difference between Hyderabadi & Tamil Biryani? Looks so yummy... will definitely try this out.